The War for the Crown Adventure Path is the first Pathfinder Adventure to be featured on Roll20.net. 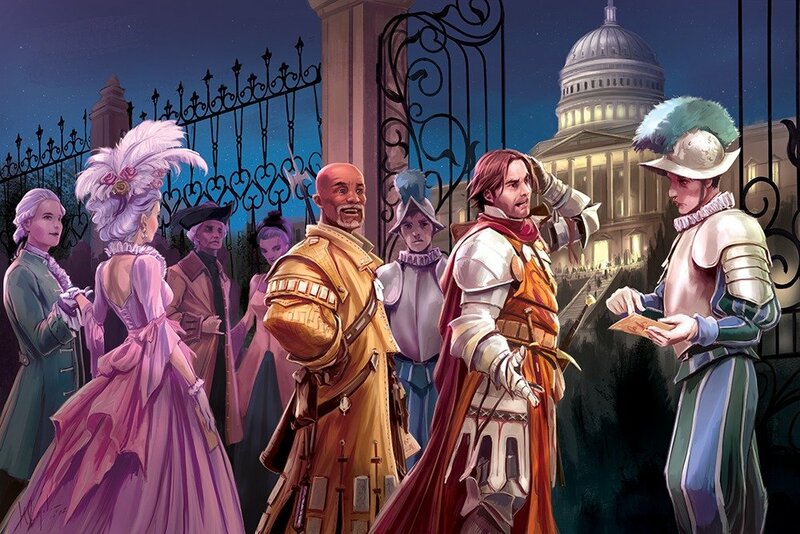 Step into a world of intrigue and digital dungeons! I had a chance to sit down with Crownfall on Roll20 and see how they had adapted the adventure to fit their online format–and I have to say it’s pretty great. We’ll get to why in a moment, but first some background just to fill all of you in. 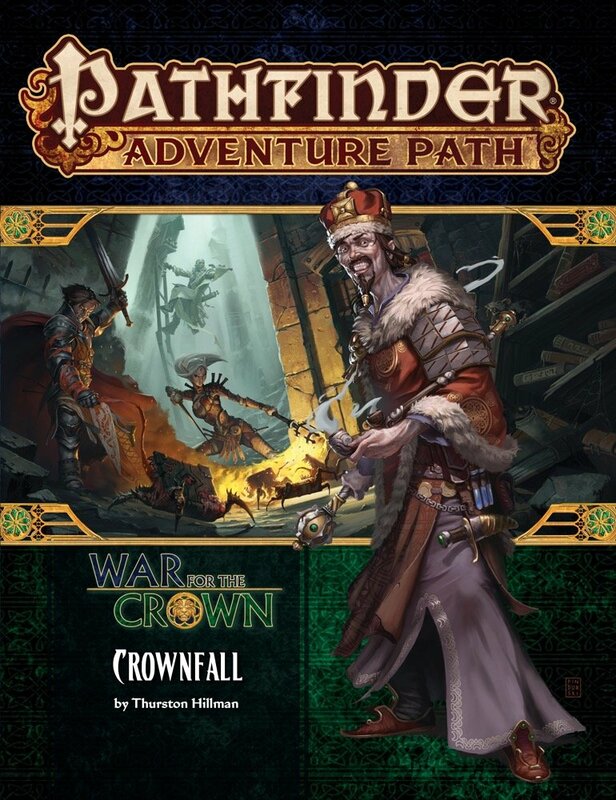 Crownfall is the first adventure in the War for the Crown Adventure Path (currently on Chapter 2)–which casts players as agents of intrigue, working for a spymaster during a time of civil and political unrest in Taldor. There’s lots of spying, sneaking around, intrigue, and subterfuge to be had at every turn. And on Roll20, a fantastic virtual tabletop app, the adventure path really shines. 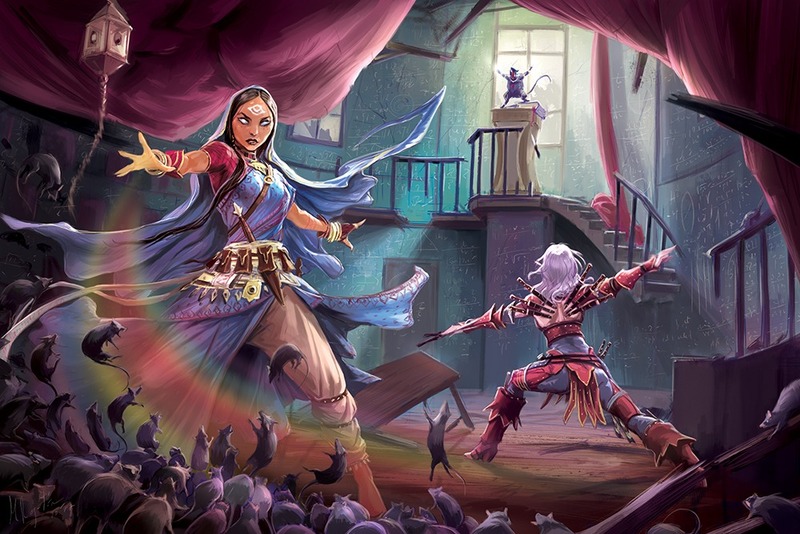 Fair warning though, I review both the adventure and the way Roll20 presents it here–so spoilers for Crownfall ensue. One of the biggest reasons for this is how interlinked the information is. If you’ve ever tried to run one of these published campaigns before, you know that there’s a lot of work that goes into all of it. The standard formula is reading through the book, taking notes of where to go to look up other stuff, forgetting to look that other stuff up later, hurriedly trying to do that during the actual session, and panicking and making up vital pieces of the plot that are already outlined clearly elsewhere in the book instead. 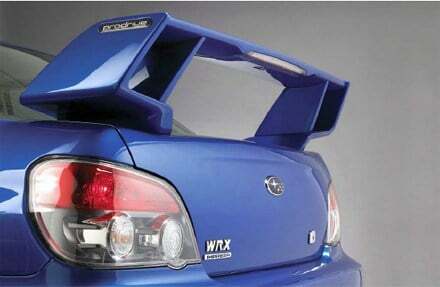 And while your mileage may vary there, the information you need is presented really well in this campaign. Because Roll20 runs off of HTML5, everything is linked. And click on Oppara to pull up the gazetteer info on the city, including linked NPCs. Same goes for the rest of the adventure. As mentioned, it’s chock full of intrigue. 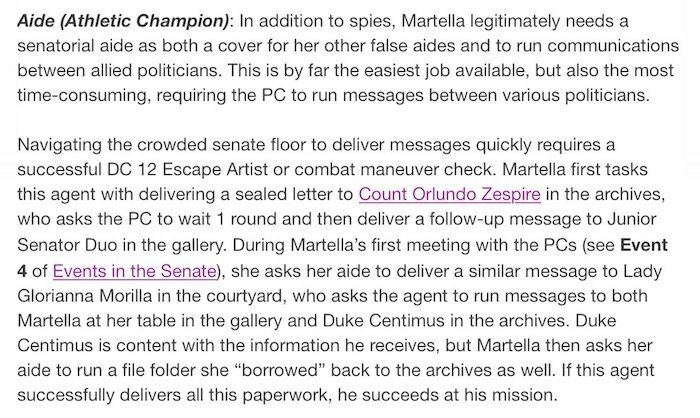 The premise of Crownfall is that the PCs are agents or attachés to a Taldoran Spymaster, Martella Lotheed. 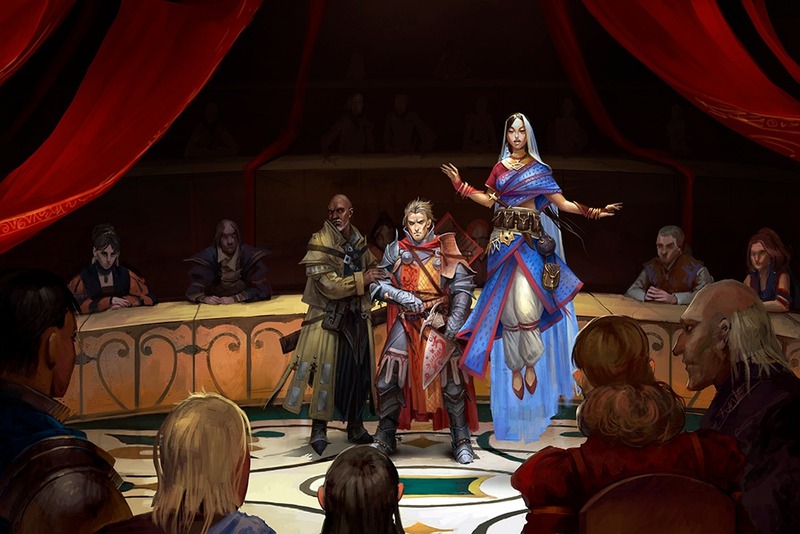 And the entire first act has them infiltrating a party to find out information and engage in all kind of courtly intrigue. It’s one of the better versions of this I’ve seen–it uses a streamlined set of rules based on the Social Combat rules introduced in Ultimate Intrigue (and really social combat is a misnomer, it’s more like maneuvering and finding out information). But essentially the players are there to help advance the cause of Princess Eutropia who is trying to pass an act in the senate repealing primogeniture. 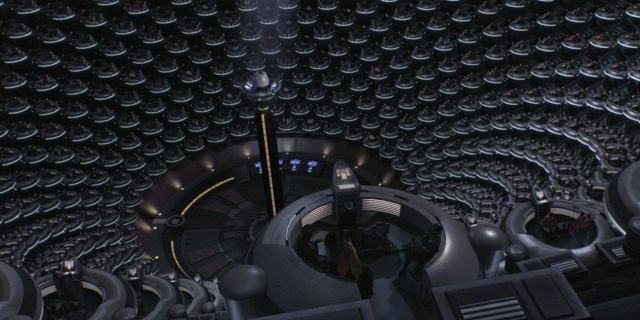 Did someone say intrigue in the senate?! The difference here being that this is just a premise used to set up adventure and to test the skills of the characters, rather than a long drawn out scene that will be featured in the movie that should be about lightsabers and blasters and droids. And besides which, in Crownfall the senate gets dissolved right at the end of Act 1 anyway. Look the point is, the PCs are there to engage in intrigue, and it’s handled really well through Roll20. What could be a chaotic jumble of moving parts has been elegantly adapted into this digital format so that you can get to the info you need when you need it. That sample mission will, as you might expect, take you to the relevant pages–and each of those includes relevant information–it makes it really easy to get to what you need. Especially if you take the time to prep all of this stuff beforehand. And Roll20 makes that a breeze, with their indexed list of NPCs and tokens that you can use to get them where you need. 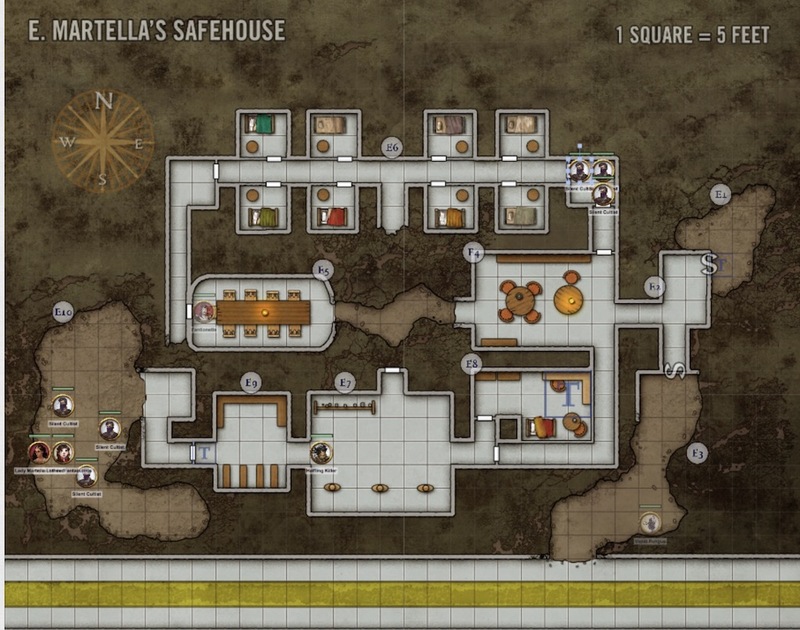 Speaking of all the intrigue and chaos of Act 1–the Roll20 team has done a great job transcribing the maps and making them interactive. Each one of the maps comes pre-loaded with NPCs where they need to be. All you have to do is access the right layer (which is sometimes a layer within a lair) and you’ve got your NPCs ready to slide around the map like puppets dancing to the strings you pull. Case in point, see this map from one of the climactic battles. It’s got everything laid out for you, everything’s pre-snapped to the grid. A lot of the back-end work is already done, all you have to do is launch your adventure and get your friends together to get this show on the road. Honestly after playing around with this, I’m seriously considering pulling this out at the actual tabletop. It just makes it easy to keep track of who’s where–even if I wasn’t using the map, keeping track of NPC stats and hit points and actions is super quick in this format. 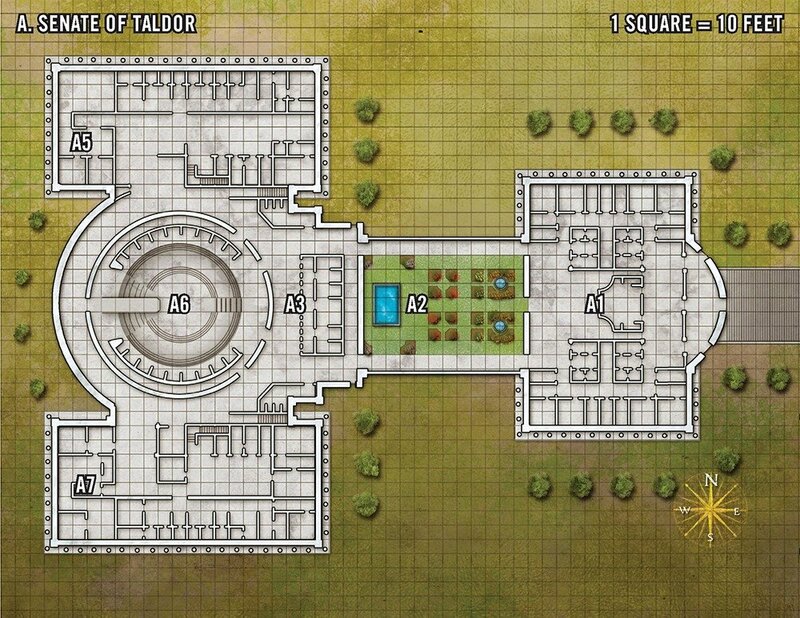 The Roll20 team has done a fantastic job adapting this adventure path. 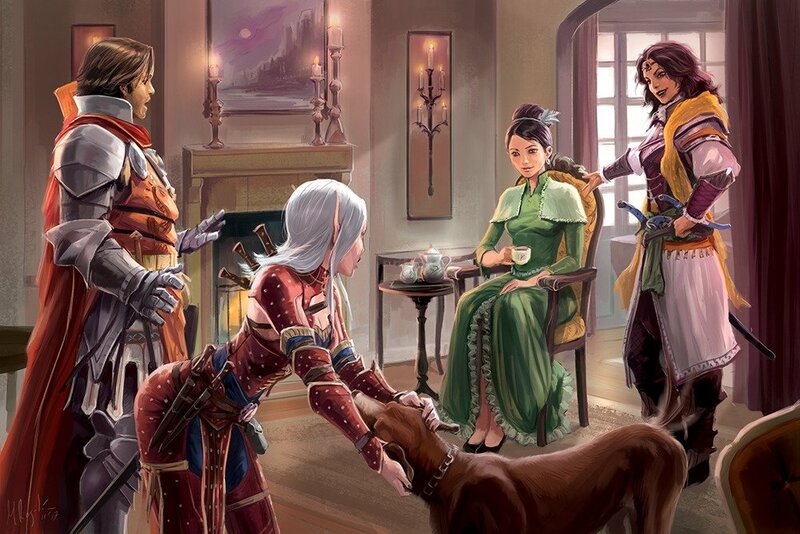 It’s a great one to start with–I feel like it’s a fantastic example of the work Paizo can do as well. Crownfall is one of the better Adventure Paths I’ve seen from them–it hits the kind of sweeping plots they do well. It’s well-written and it has a lot of opportunities for players to interact with the world and really be movies and shakers. I definitely recommend checking it out. This is the first Pathfinder Adventure planned for Roll20, but I’m sure there are more to come. In the meantime, you can find Crownfall for Roll 20 linked below. Will include the fully converted War for the Crown Player’s Guide soon after it is released by Paizo. This item will be patched to include this.